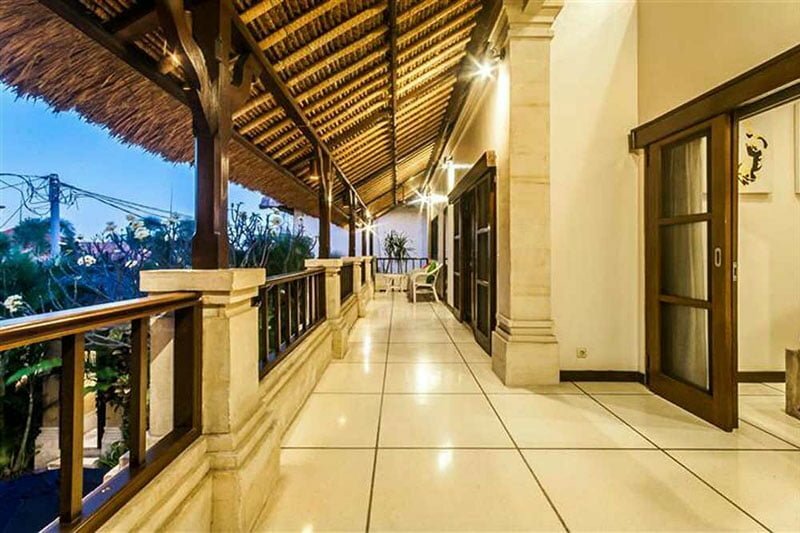 When you want to stay near the beach, Bali’s popular restaurants and the lively entertainment venues, you’ll want to stay at Villa Nakula 2. 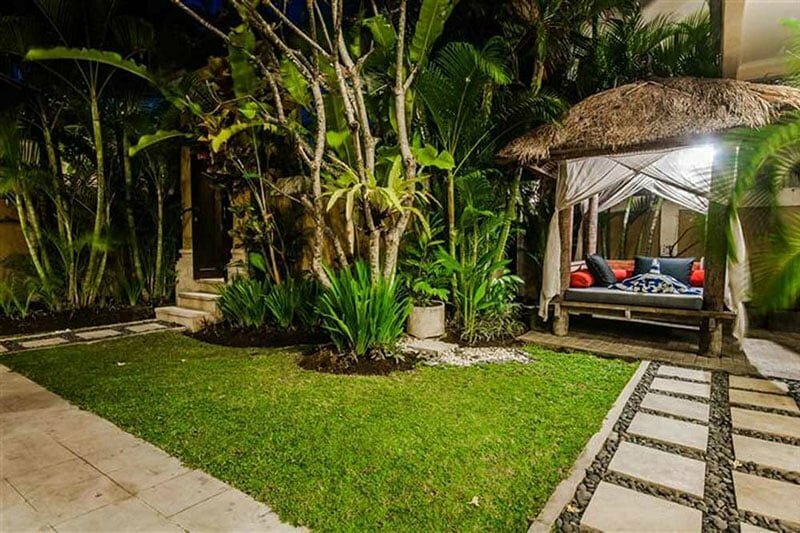 This 2-bedroom villa is perfectly positioned in the vibrant Seminyak district, yet maintains exclusive tranquility within its own tropical grounds. 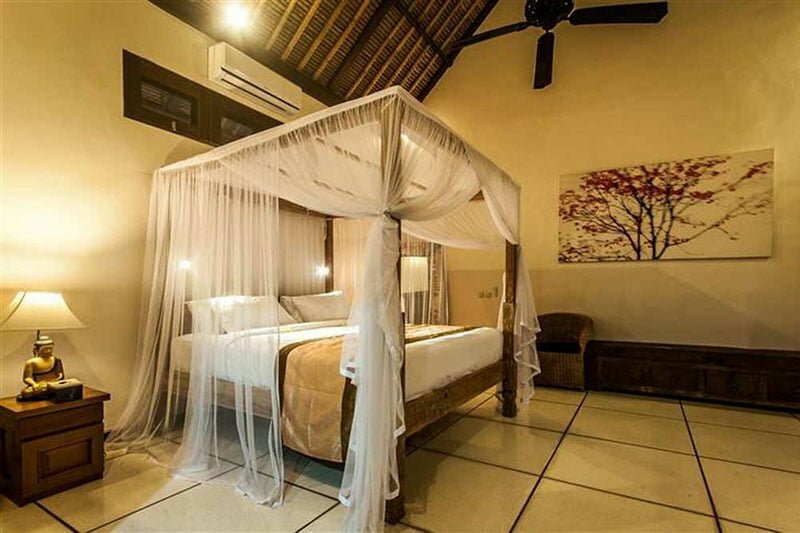 The second story of the villa comprises the master bedroom, which has its very own grand balcony overlooking the entire property. 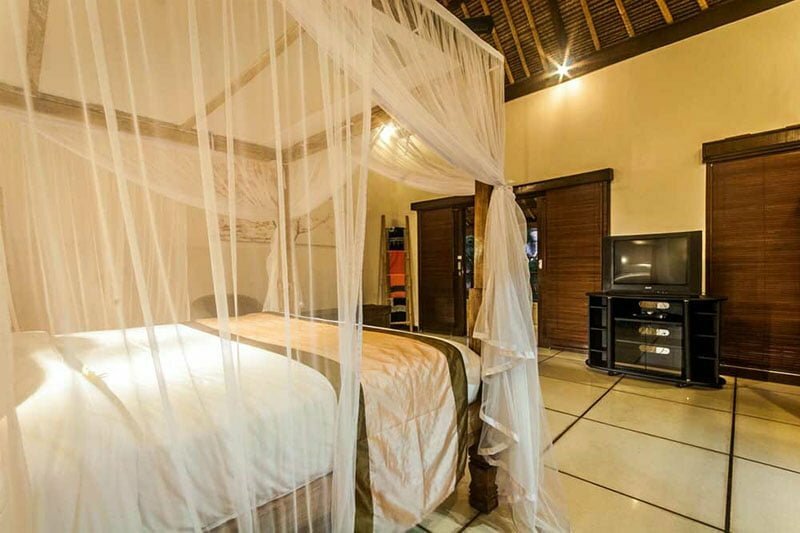 An office room attached to the master bedroom can be easily converted into a third bedroom, allowing more guests and more fun to be had. 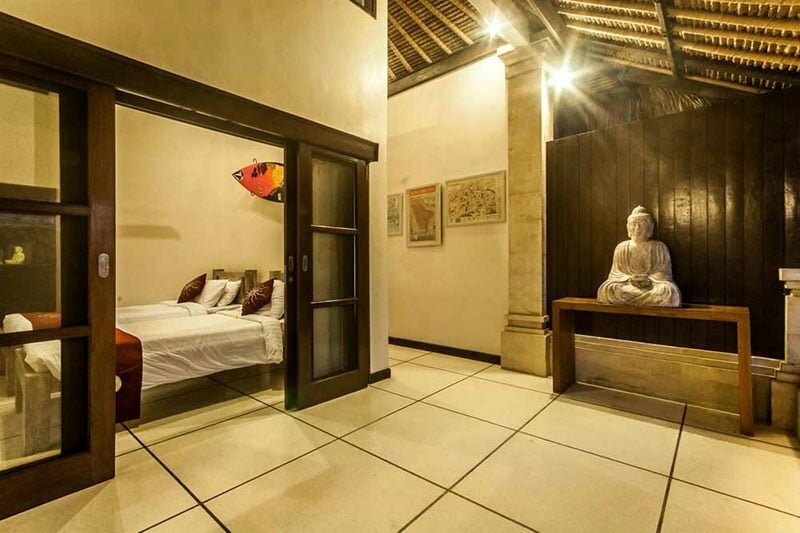 The second bedroom is located downstairs, where a spacious, open-living layout will attract you and your friends to gather in one central space. 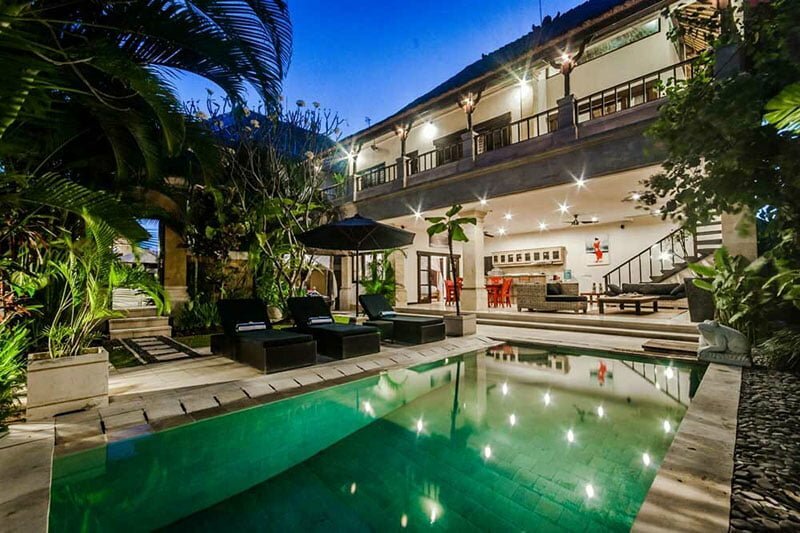 Here the kitchen, dining, and living room lounge are positioned closely to each other, with wide-open views of the beautiful pool and garden oasis. 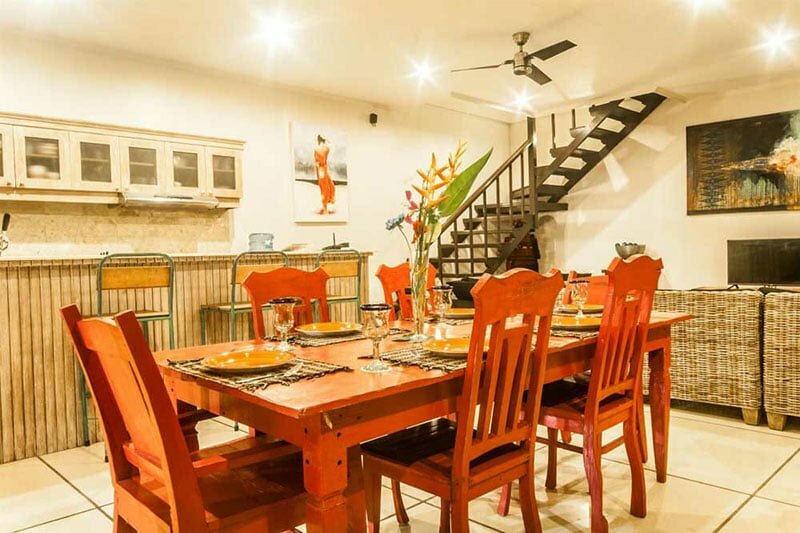 The impressive dining table will instantly draw your attention with its glazed, fiery red colour. 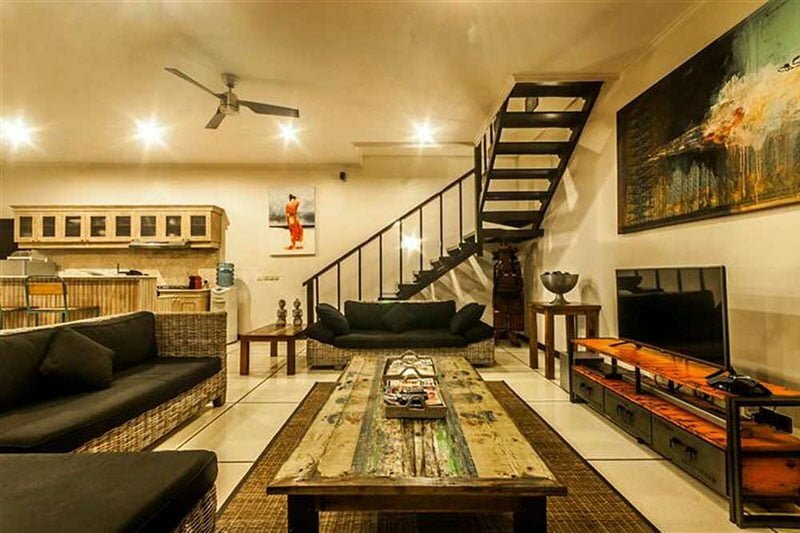 A long, refurbished wooden coffee table and dramatic black sofas harmonize the interior décor. 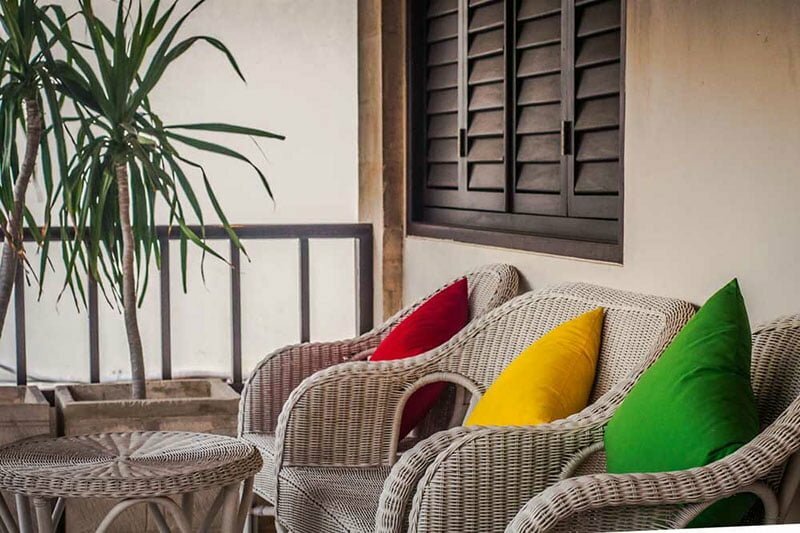 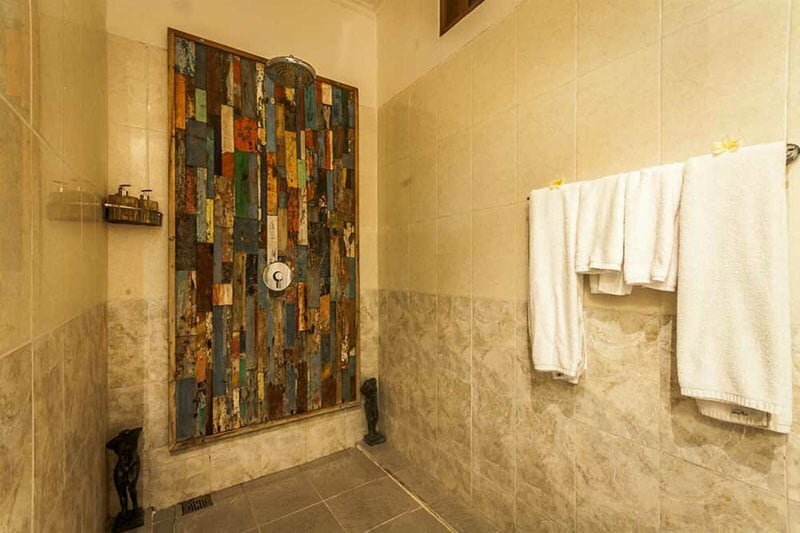 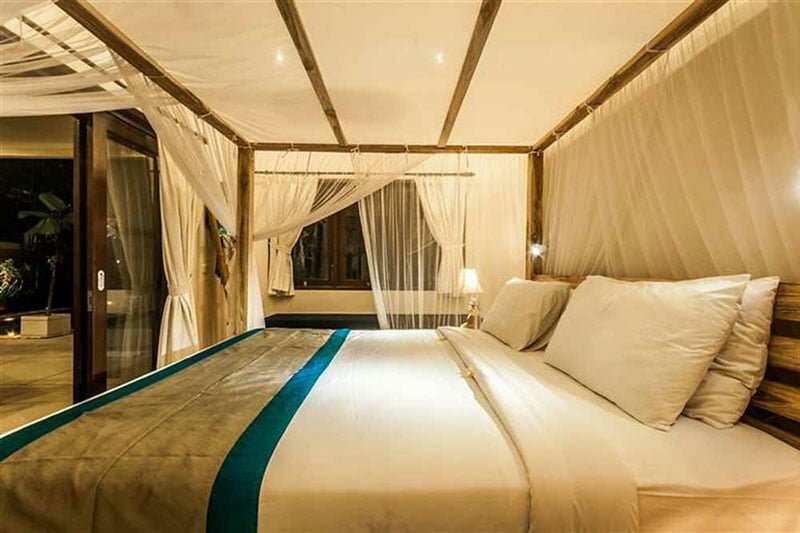 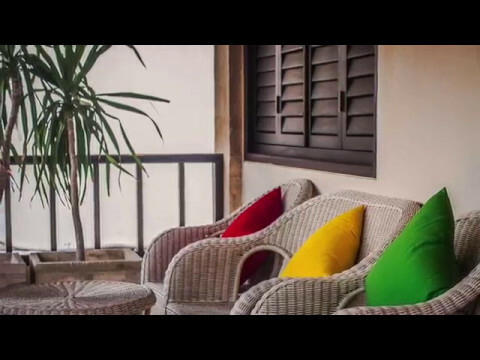 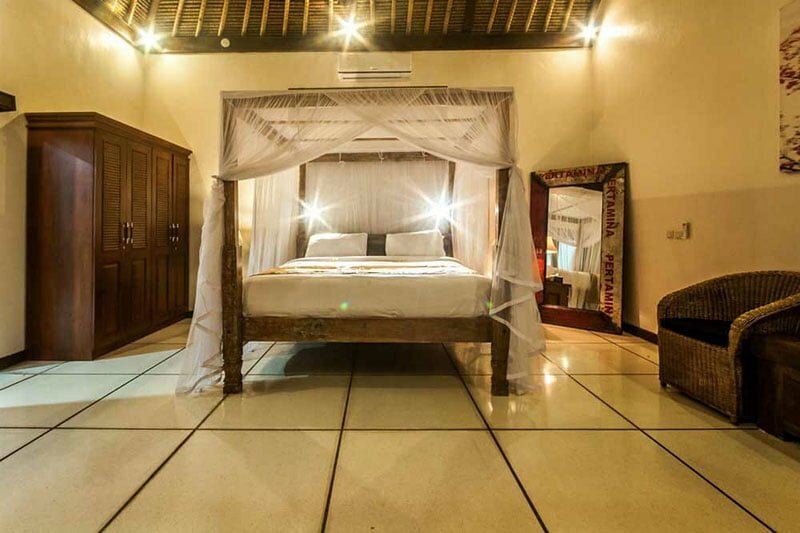 It’s safe to say that Villa Nakula 2 has plenty of remarkable adornment that will keep you visually entertained. 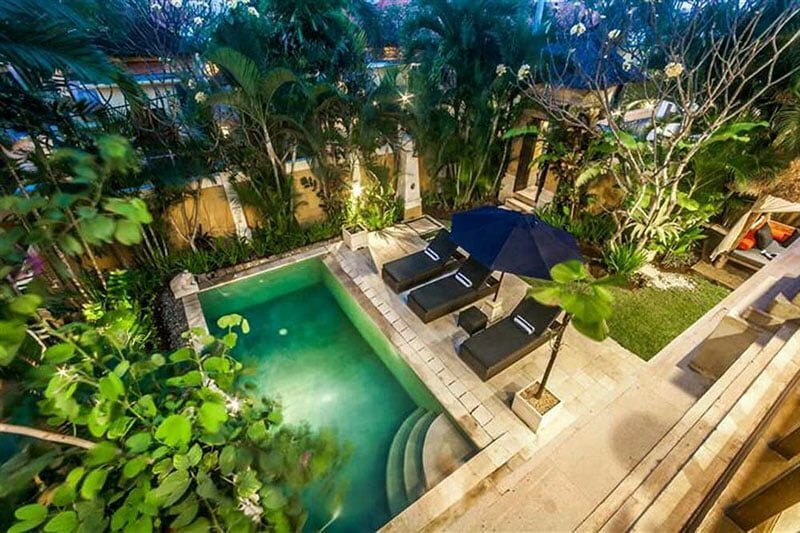 Don’t forget to jump in the 21m2 swimming pool and lay out on the garden daybed in the gazebo. 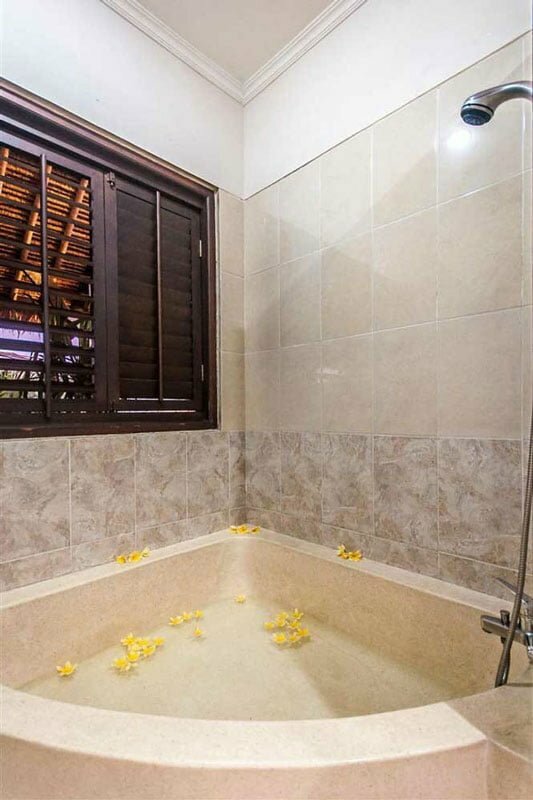 The pool has a shallow step-in, making the vailla suitable for families traveling with small children or elderly members. 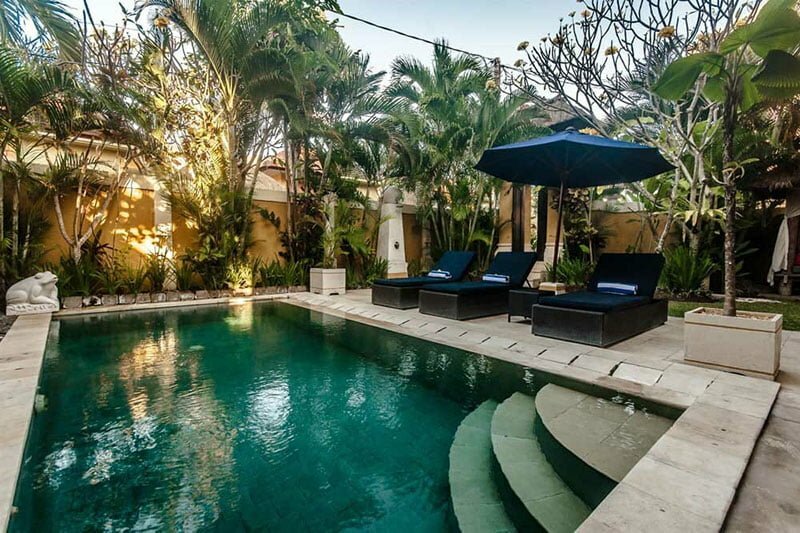 Just as wonderful as the villa itself are the friendly staff members, who will pamper you with daily housekeeping, 24hour security, and any other service you may need on your Bali holiday. 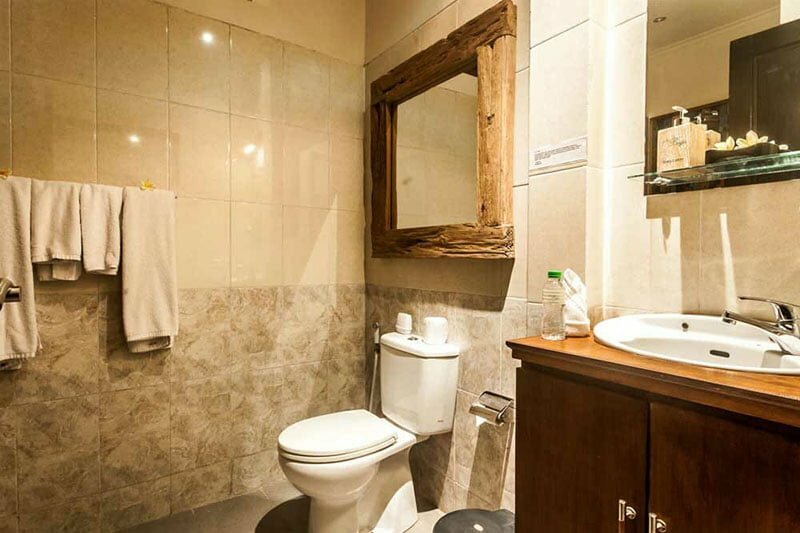 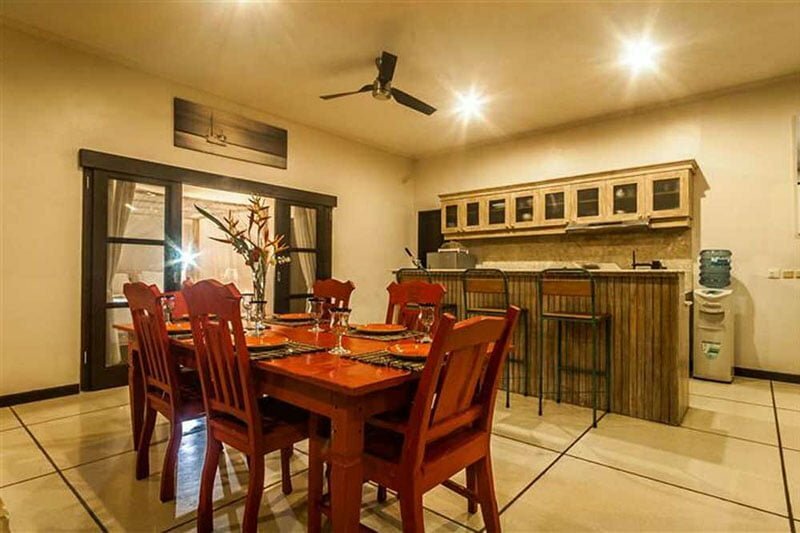 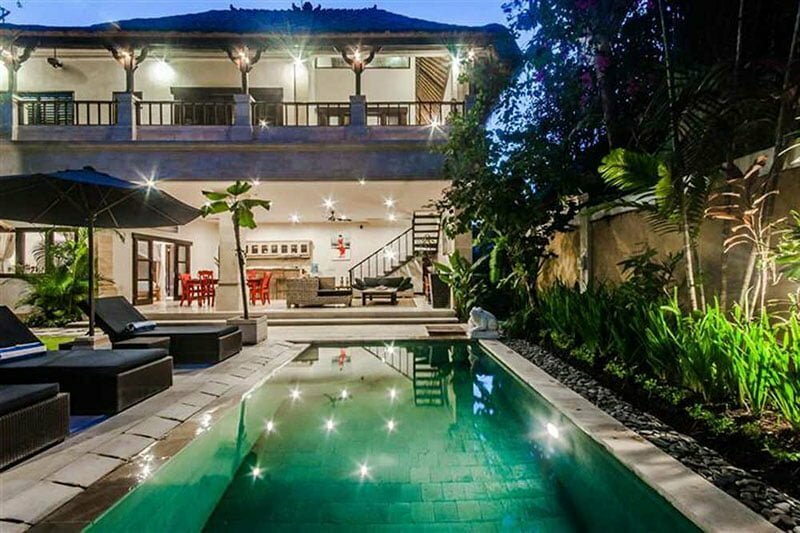 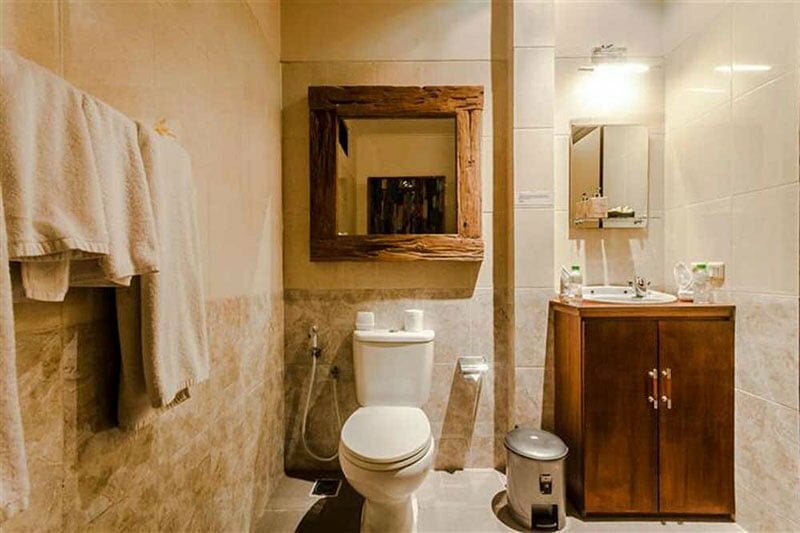 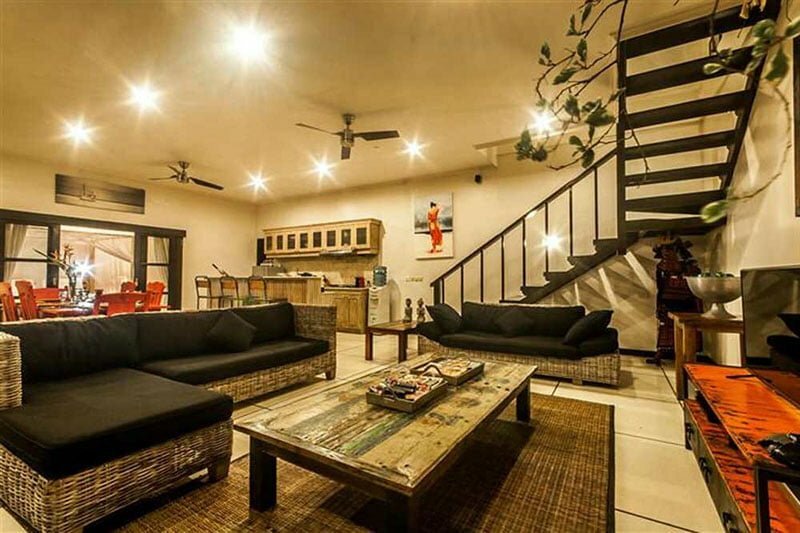 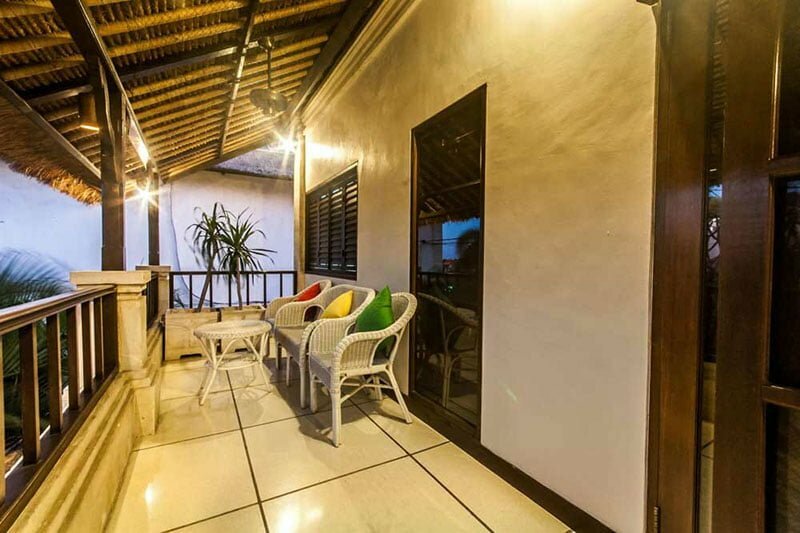 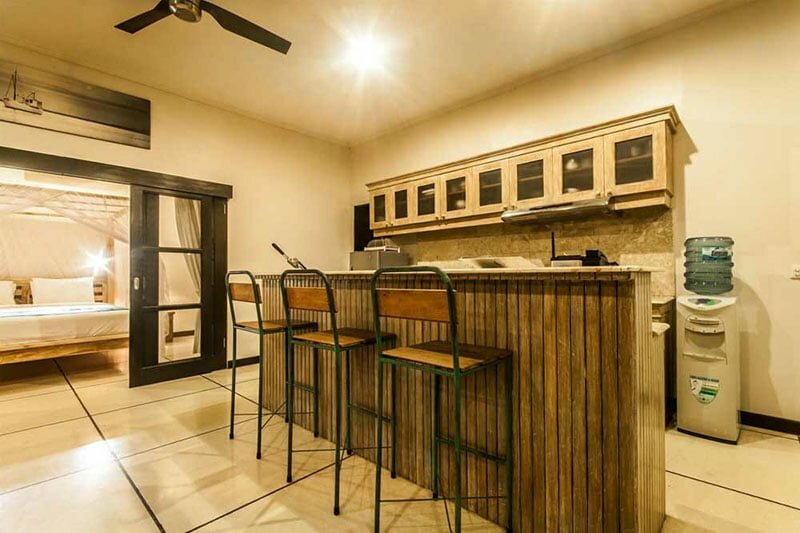 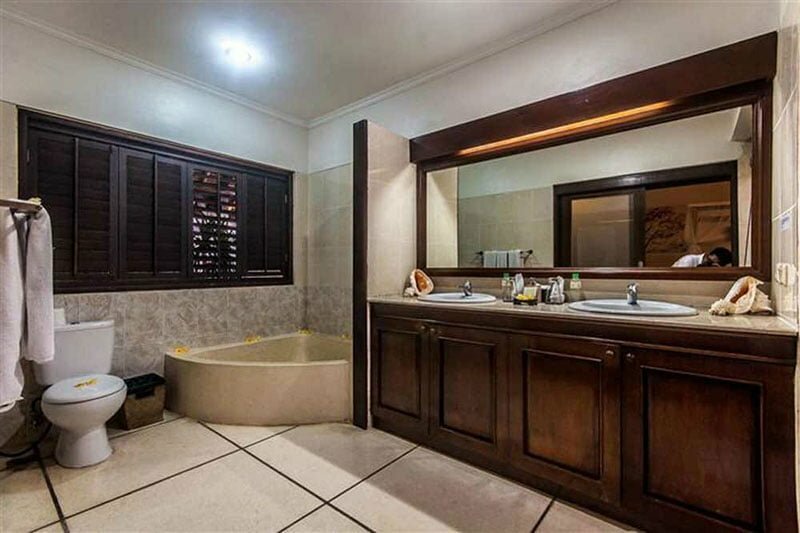 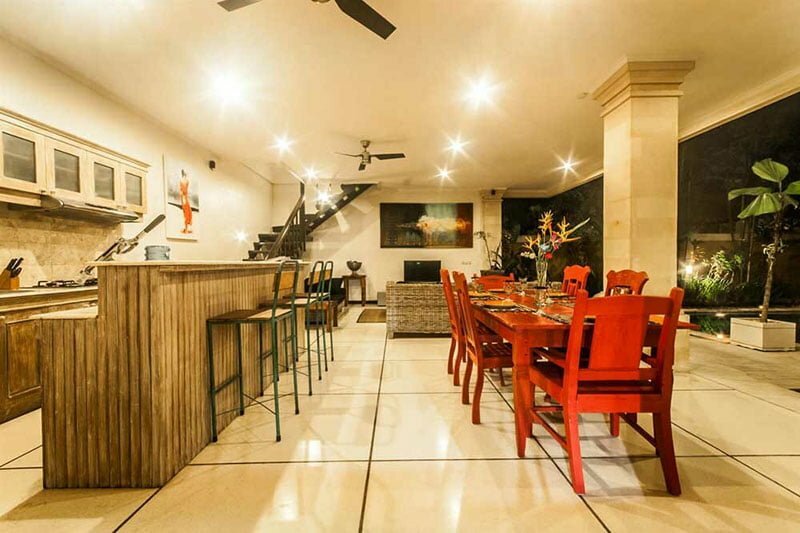 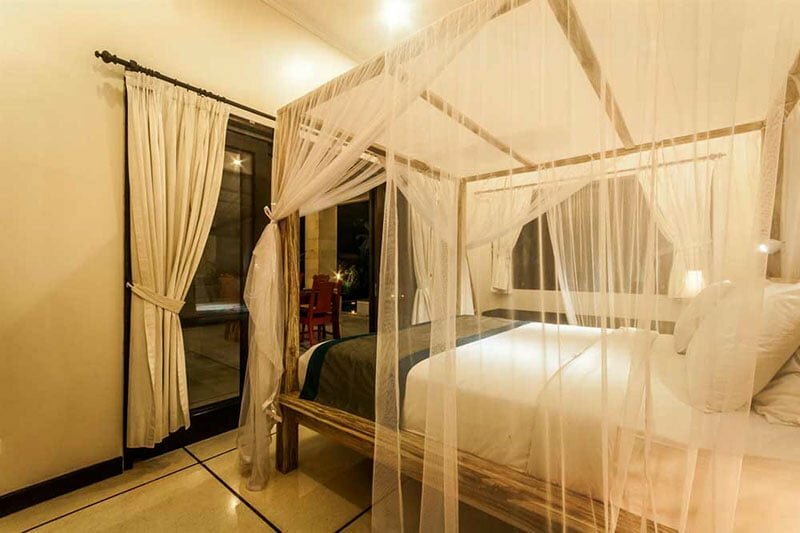 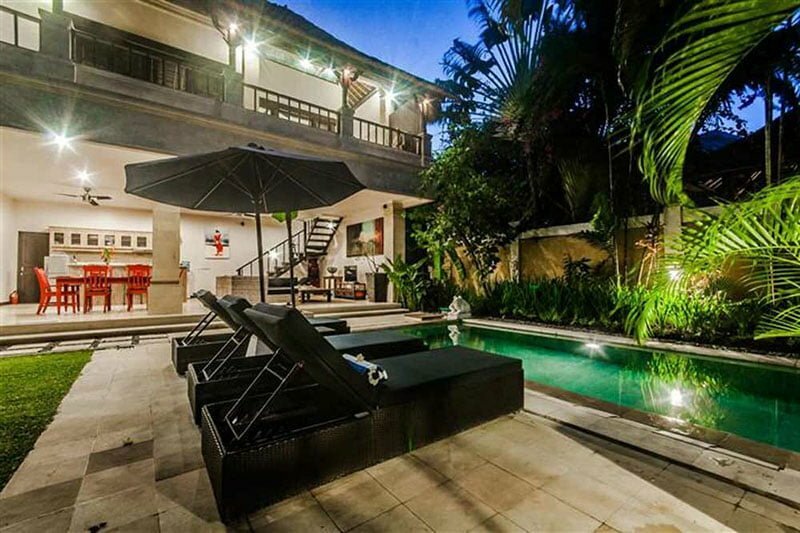 Villa Nakula 2 is mere 5-minute walk to the sensational restaurants, bars, spas, and boutiques of downtown Seminyak. 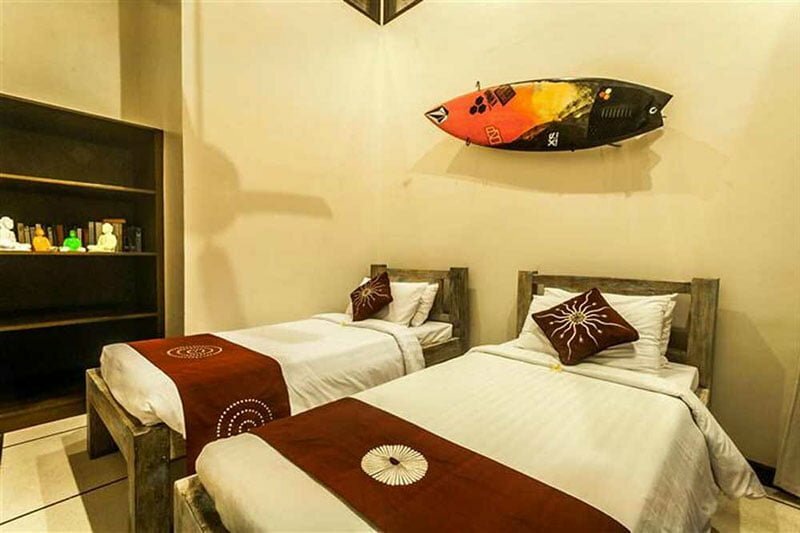 Take a short motorbike ride or a 15 minute walk and you’ll find yourself on the edges of Bali’s sandy shores, where endless sunshine and playful waves are waiting for you. 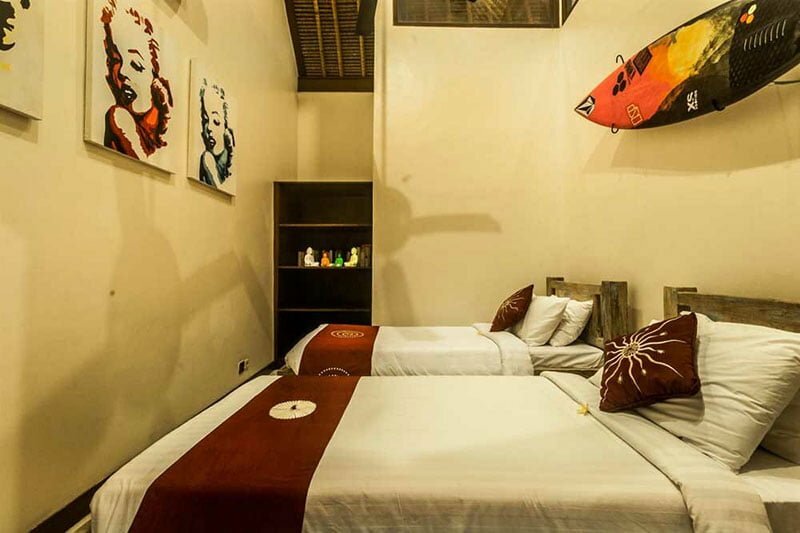 Extra Bed: US$30 Per night. 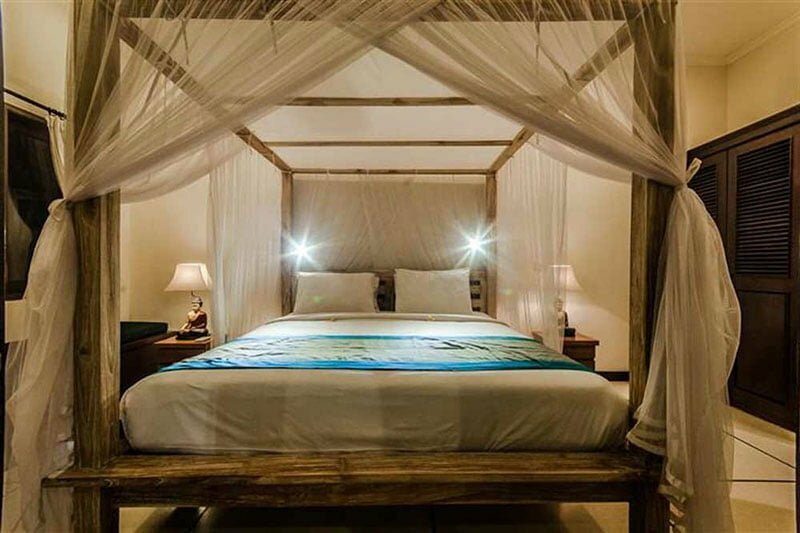 Expense: Extra bed upon request with extra charge; Spa room upon request w/extra cost; Pool Fence upon request w/extra cost; Car & driver upon request with extra charges.